Jaguar Colorado Springs is down to our last two 2017 Jaguar XE 20d AWD vehicles. You won’t want to miss out on the chance to own one of these amazing vehicles priced to sell at less than $38,000! Both have the powerful and incredibly efficient 2.0L I4 Turbocharged engine paired with an 8-speed automatic transmission. The pair delivers an estimated 30 mpg city/ 40 mpg highway. Features include alloy wheels, LuxTec seat trim, power moonroof, steering wheel mounted audio controls, and traction control These vehicles both have the Cold Climate Package which means such features as heated steering wheel, heated washer jets, and heated windshield. All are perfect for a cold Colorado winter! Contact Jaguar Colorado Springs to learn more about the 2017 Jaguar XE. 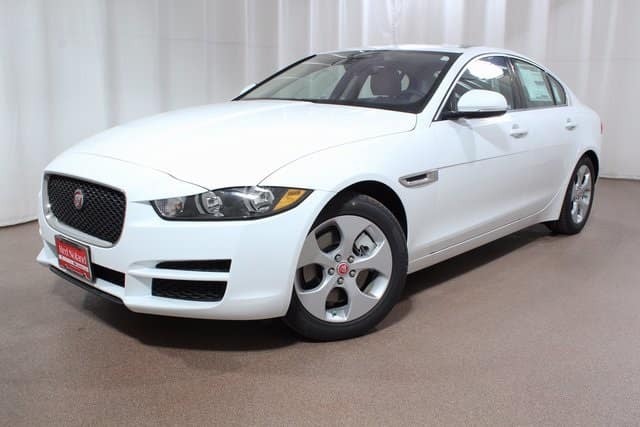 Our Jaguar experts would love to tell you all about this luxury sedan. Stop by to test out the many features and this sedan’s super performance!